Need nutritional advice? Speak to our Nutritionist at Chef Good! Whether you’re a veteran ‘Chefgooder’ or a new recruit, Chef Good is excited about a couple of new additions. You may have noticed we have a new feature on our website. A handy little live chat function in the bottom left hand corner. What’s even better? Behind the screen, we have a qualified Nutritionist and Chef ready to answer any and every question you have about Chef Good and our food! 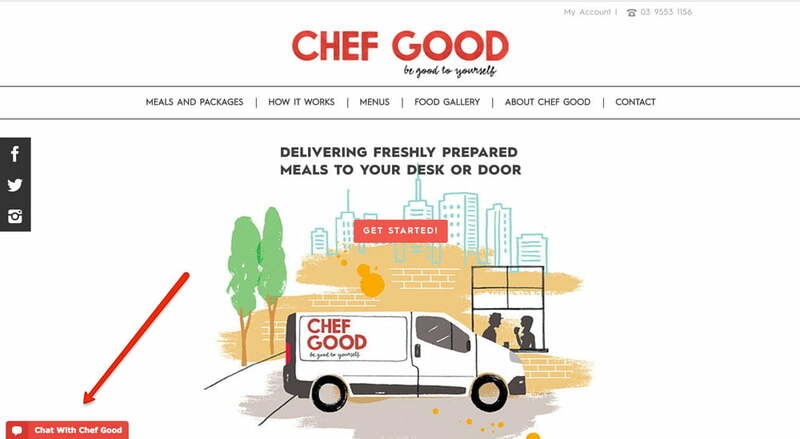 Live chat means we have a super fast and responsive way to connect with you guys in real time – you don’t even have to leave the Chef Good website to contact us! To get in touch with our nutritionist and chef, all you need to do is click on the Chat with Chef Good tab at the bottom left hand corner of our website. During business hours we will get back to you straight away, or you can leave a message here outside of these times.